Toyota has revealed a pair of South Australian themed cars for Jason Bright and Chris Pither when they join the Toyota 86 Racing Series grid at The Bend next weekend. The pair will drive cars decked out in the colours of the Adelaide Crows AFL team’s home and away jerseys, and were unveiled by club captain Taylor Walker, and veteran Eddie Betts. It marks the 1998 Bathurst 1000s winner’s debut in the Toyota 86 Racing Series, and his first competitive outing since being confirmed as Lee Holdsworth’s co-driver at Preston Hire Racing for the Pirtek Enduro Cup. 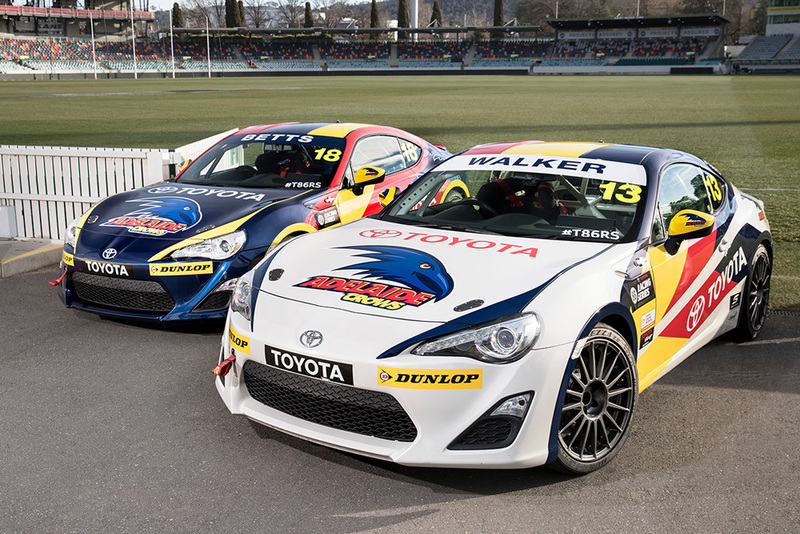 Now in its third season, the event marks the first time the Toyota 86 Racing Series has raced in South Australia. The category will boast a 36-car field for the weekend, with Toyota’s chief marketing officer, Wayne Gabriel, looking forward to the all-new event. 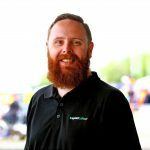 “The 86 series is all about offering aspiring race drivers and talented amateurs a grass-roots, affordable racing series that pits drivers of all ages and experience against each other in tight competition,” Gabriel said. The series is currently led by Tim Brook, who holds a 42-point advantage over Luke King after two rounds. Round 3 of the Toyota 86 Racing Series forms part of the support program for the OTR SuperSprint on August 24-26.